Standard Market Grill recently opened in Lincoln Park and after hearing such amazing things I finally stopped in for brunch on Saturday. I loved the casual yet modern ambiance of the restaurant that was perfect for watching football with friends in the bar area or enjoying a casual meal with family. 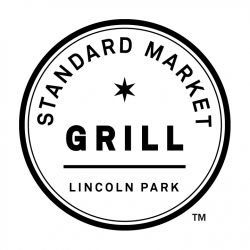 Each dish is made to order with fresh, seasonal ingredients sourced from Standard Market (their gourmet market located in Westmont, IL). 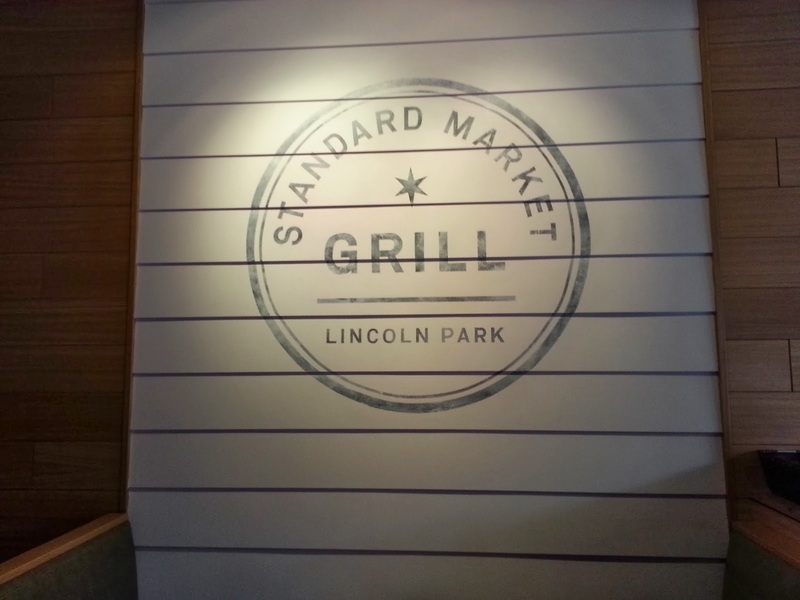 What makes Standard Market Grill unique is their walk-up counter for ordering your food. This type of ordering makes it a little more convenient for quick ordering and when you sit at a table a waiter or waitress is on hand to get you another drink or anything from the menu. I ordered the omelette of the day with Phil's fresh eggs, roasted corn, roasted red peppers, onions, spinach and monterey jack cheese with a side of fruit. 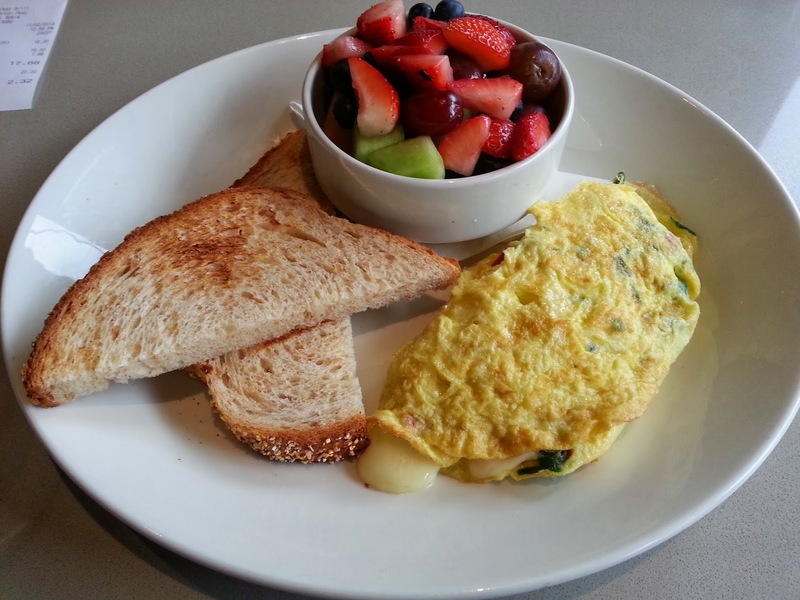 The fresh ingredients made this omelette taste incredible and I'm dying to go back for dinner to try their veggie burger or the farmers market hand-tossed pizza. If you're looking for a great brunch spot in Lincoln Park head over to Standard Market Grill because you won't be disappointed.